Aalborg, Denmark, 16 October, 2014 – 2operate, Thales Alenia Space España, and TELE Greenland today announced that they have signed a contract with the European Space Agency (ESA) for a project to bring relevant technology, standards, and concepts from terrestrial mobile telecommunications to satellite-based telecommunications. The project was officially kicked off on 1 October when experts from the three consortium members presented initial ideas at ESA’s premises near Amsterdam in the Netherlands. Satcom is expected to play a significant niche role in securing global coverage and certain broadcasting services in future telecommunications systems. Due to its smaller size of satcom compared to terrestrial telecoms, however, the amount of brain power spent in developing concepts and technology is limited. The new project will ensure that relevant research and innovation from terrestrial mobile communications is adopted by the satcom industry. The consortium will systematically screen terrestrial telecommunications for opportunities where satcom will benefit, including preparations of roadmaps and actions on how to make it happen. “We are very proud as a consortium to be selected by ESA to execute this project where we know that competition was tough.” said Lars Moltsen, CEO at 2operate. “The three partners together provide a strong mix of insight and experience in both terrestrial and satellite-based telecommunications, spanning operations as well as development of hardware and software. Our focus in the project is to reduce the cost of each transmitted bit in a satcom system by exploiting available concepts and technology faster. We hope that this will help enabling more people around the World to take advantage of basic and advanced telecommunications services“. The new project will be the first time TELE Greenland is assigned a contract with ESA, whereas it will be the third time 2operate works in an ESA project. It will be first time, however, that 2operate will lead a project of this size. 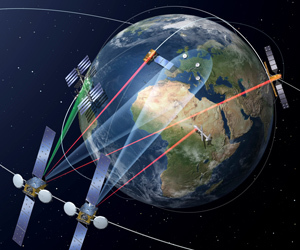 Thales Alenia Space has a long track record of collaboration with ESA.